You are here: Home / Health and Fitness / Here’s the Difference Between Seltzer, Sparkling Mineral Water, Club Soda, and Tonic Water? 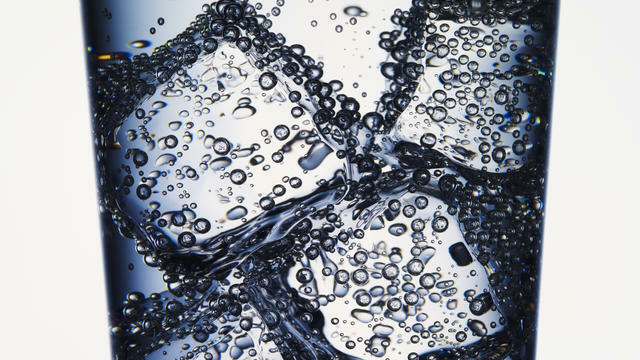 Bubbles 101: What’s the Difference Between Seltzer, Sparkling Mineral Water, Club Soda, and Tonic Water? There are so many different kinds of bubbly water out there that they all start to blend together as one. Whether it’s seltzer, club soda, tonic water, or mineral water, they all posses slightly different ingredients making their flavor and best uses just a little bit different. Clear up your carbonation confusion once and for all so that you can live your best bubbly life while having a clear understanding of what exactly is in that fizzy drink of yours. With so many different kinds of bubbly waters that all seem like they’re one in the same, it can be tricky to keep track of them all. From tonic water to seltzer to mineral water, it seems like nobody is drinking just plainwater anymore. There’s a lot going on when it comes to H2O (I mean, there’s a whole aisle dedicated to just that in the grocery store), so what (if anything) is the difference between them all? If you’re looking to increase your water intake and do so in a fizzy manner, we’ve lined out all the different bubbly beverages to look out for, and how to incorporate them into your daily drinking habits. This is the most basic kind of bubbles. Solely made up of plain, unadulterated water that has been highly charged with carbon dioxide, seltzer has a clean, plain taste to it with that makes for a great canvas for added flavors, like citrus or berries. Keep in mind that flavored seltzers contain added citric or phosphoric acid which has beenprovento erode tooth enamel over time. Instead,infuseyour seltzer water with fresh fruit and citrus for a splash of flavor that causes no dental harm. What sets sparkling mineral water (or just sparkling water) apart from seltzer is that it is made with natural spring or well water where naturally-occurring carbonation is common, thus allowing the product to be bottled at the source. Although the carbonation is naturally occurring, there is often times additional carbon dioxide that is added to the natural mineral water. If you’re a fan of Perrier or San Pellegrino, this is what you’re drinking, so you’ll notice a crisper mouthfeel and a more mineral-y taste as opposed to seltzer water. Very similar to seltzer, club soda is carbonated water that also has a couple mineral add-ins, like sodium bicarbonate, sodium citrate, and potassium sulfate. It can be used interchangeably with seltzer, however you’ll notice an earthier, more mineral heavy taste to club soda as opposed to seltzer, which is why club soda is typically not flavored. Additionally, you will find on the nutrition facts that it does contain sodium, as opposed to the other bubbles which do not have any added sodium. Like the rest of these beverages, it starts with carbonated water. However, the added ingredient here is quinine, a traditionally bitter medicine that is now used to give tonic its signature taste (that pairs great withgin, as you may already know). Another huge difference between this water and the rest is that tonic has calories (12 ounces is about 130 calories). You cannot substitute tonic water with the others as easily, as it has a distinct, signature taste that is vastly different to the rest. Regardless of the bubbles you prefer, make sure you know what you’re drinking because these are not all interchangeable. Of course, hydrating with plain tap water is ideal, but if you need to switch it up from time to time and keep things fresh and exciting with the occasional fizz, looking to bubbly water is way better than a sugar-laden cola or soft drink. Bubbly water is fun to play around with when you’re mixing drinks and it’s just as good on it’s own. After all, a little carbonation can never hurt.